How many beats would be sufficient to qualify for bigeminy? If there is a run of PVC-Sinus beat-PVC-Sinus beat-Sinus beat, would this pattern qualify to be called short run (3 beats)of bigeminy? I'm believe you need a repeating cycle of at least 3, to called it a bigeminy or trigeminy. 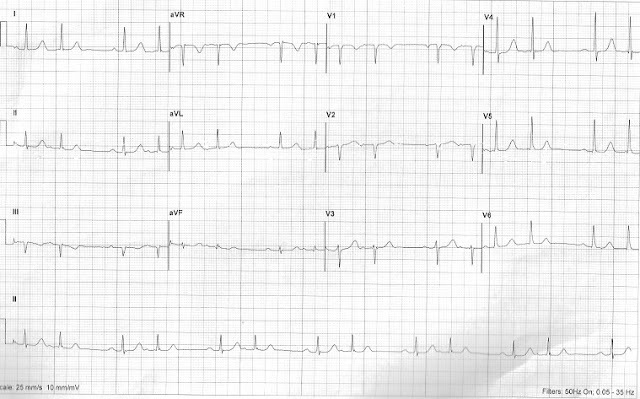 Same applies for PVC's to make a diagnosis of Ventricular Bigeminy or Ventricular Trigeminy.